Invitation Homes, the nation’s leading provider of single family rental homes, today announced the appointment of G. Irwin Gordon as executive vice president and chief revenue officer. Gordon joined Invitation Homes earlier this year as chief marketing officer. 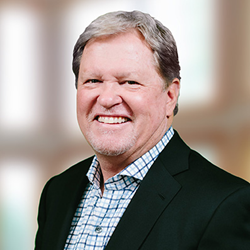 In his new role as chief revenue officer, Gordon will develop and execute partnerships and programs that expand Invitation Homes’ service offering, drive revenue growth and add value to the customer experience of Invitation Homes residents. His span of responsibility will include all marketing strategy and execution, customer care call center operations, lease administration, and public relations and communications. Gordon is a seasoned corporate executive, with more than 30 years both leading organizations as CEO and leading their marketing efforts. Prior to joining Invitation Homes, he founded The Trion Group, which provides marketing and strategic management consulting services. Prior to that, he was president and chief executive officer at Gruma Corporation, the global leader in corn and flour tortilla products under the brand Mission Foods. Previously, he served as president and chief operating officer of Suiza Foods (now Dean Foods) and also as Suiza’s chief marketing officer. Earlier in his career Gordon served as president and general manager of several international Frito-Lay companies before becoming senior vice president of marketing, sales and technology for Frito-Lay. Before joining PepsiCo’s Frito-Lay, he served in various capacities at the Kellogg Company. He currently serves as an independent director of Heska Corporation. Gordon holds a bachelor’s degree in education from the University of British Columbia and a management certificate from Stanford University. Based in Dallas, Invitation Homes is the nation’s premier choice in home leasing. The company has a portfolio of nearly 50,000 homes, serving approximately 120,000 residents in 14 markets across the country.